The combination of CNC machines and CAD/CAM software allows machinists to cut materials faster and more accurately than what is possible when cutting by hand. 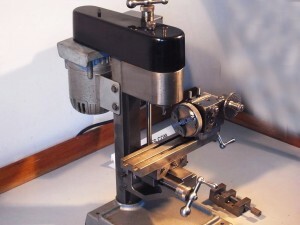 One of the most common types of cutting is pocket milling (or pocketing), which sees extensive use in the aerospace and shipyard industries along with the uses a hobbyist has for the technique. Pocketing milling can be used with 2D or 2.5D projects and roughly 80% of all mechanical parts can be created with this kind of toolpath. Using this type of toolpath can make a big difference in the quality of a finished project. Pocket milling allows you to use an end mill and machine away large parts of your raw material in a roughing process prior to finishing your project. This process allows you to save time and money while maximizing the amount of material removed. There are several styles of pocket milling such as traditional lace or zig-zag, concentric or offset In/Out and high speed cutting paths. The type of toolpath you pick can be categorized as linear or non-linear and there are parameters that can be set in many CAD/CAM software programs to control the pocket milling process. Linear tool paths are unidirectional and the two major types are zig-zag tool paths and zig tool paths. Zig-zag milling causes the tool on your machine to move back and forth while removing material. Cutting is done with and against the rotation of the spindle. This method makes machining faster but also increases tool wear and machine chatter. Zig milling causes your tool to move in only one direction which results in better surface quality. However, you will have to lift and retract the tool after each cut so it takes more time to finish machining. Non-linear tool paths are multi-directional with contour-parallel tool paths being an good example of this type of tool path. Contour-parallel tool paths use the pocket boundary to derive the tool path. Using this method your cutter is always in contact with your material, allowing you to eliminate time that would be needed to position and retract your tool using other methods. This method is used frequently for large-scale material removal and there are two different approaches that can be classified as contour-parallel tool paths. Pair-wise intersection approaches bring the boundary of the pocket inwards in steps. Offset segments intersect at concave corners and intersections are trimmed off to obtain the required contour. Voronoi diagram approaches segment the pocket boundary and the voronoi diagram is constructed for the entire pocket boundary. Voronoi diagrams are used to generate tools paths and this method is considered to be efficient since it avoids the topological problems machinists can run into using traditional offsetting algorithms. Toolpath parameters for pocket milling in your CAD/CAM software will include data about roughing and finishing tools, pattern selections, cutting direction options (climb vs. conventional), toolpath cutting angle and step over % input fields. There should also be data that allows you to control side and bottom allowances for finishing as well as depth controls for single or multiple roughing steps. Many CAD/CAM software programs allow you to define single, even cutting depths based on the overall depth and define or force depths. Finally, there should be lead-in and lead-out options to control how the tool enters and exits the cut. Some CAD/CAM software programs will offer all or at least some of these options and some will not; it will depend on what software you are using. There are CAD/CAM programs that offer explanations and tutorials on pocket milling and these programs are usually the ones that are well equipped for pocket milling operations. Examples include BobCAD-CAM, CIMCO CNC-Calc and SimCam (CNCSimulator Pro). Milling machines are used for a large amount of differing tasks. Some of these tasks are what would come to mind when you think “milling” but the machines are also capable of drilling, boring, tapping, reaming and other jobs. There are rules you can following to determine what cutting speed and RPM should be used depending on what you are doing and what kind of material you are working with. For example, reaming is generally done at half the speed and double the feed of drilling. First consider your cutting speed. On a milling machine “cutting speed” refers to the speed of the outside edge of the machine’s cutter while the cutter is active. Cutting speed is sometimes referred to as surface speed. When determining surface speed keep in mind that it is directly related to surface footage and surface area. Say you have a one inch cutter and a three inch cutter and you roll each of them by one full turn. The three inch cutter will have traveled further because it has a larger surface area. This principle is used when determining cutting speeds. If you have two cutters that are different sizes and move at them both at the same RPM the larger one will have greater surface speed. Surface speed is measured as surface feet per minute (SFPM). Cutting tools all work using this principle. Your cutting speed will mostly depend on the type of cutting tool you are using and the kind of material you are cutting. How hard the material is determines what cutting speed you should use. Harder materials require slower cutting speeds and vice versa. If you were cutting steel and switched to iron you would want to speed your machine up. If you were cutting aluminum and switched to iron you would want to slow your machine down. The cutting speed you should use will also be greatly influenced by the material your cutting tool is made out of. Cutting tools made of harder materials allow for faster cutting speeds. Feed rate and the depths of the cuts you are making will affect speed as well but not as much as the hardness of the cutting tool and the material. Cutting speed, feed rate and the depth of the cut are called cutting conditions when you group all three together. Your cutting conditions are determined by machinability rating (comparing materials on how well you can machine them). A milling machine must be set up so that its cutter will operate at the right cutting speed. To find out what the right speed is you need to calculate the RPM (revolutions per minute). The equation for this is (cutting speed * 4) / (diameter of cutter). There are many charts available on the Internet and in machinability books that you can use to find the hardness of materials. These charts make good cheat sheets for machinists who are still learning or for people who do not have the time to look up the information on material hardness frequently. Say that you are using a quarter inch cutting tool on a material with a SFPM of 110. That would be 70 * 4 (which is 280) divided by 0.25. This equals out to 1120 RPM. There will be many times where you cannot set your speed settings to the exact number you can but try to get as close as you can. When you have to decide whether to go a bit faster or a bit slower than the number you calculated think about things like how deep the cut will be, if you are roughing or finishing your project and whether or not you are using coolant. What you want the end result of the project to be should influence your decision. There are also software programs available online that you can use to make the calculations you need. Just be sure to have access to all the numbers you need for your calculations, regardless of whether you are making the calculations yourself or are using software. When a hobbyist is selecting a CNC machine to build or buy one of the biggest factors can be location. You may be able to find a good machine at a reasonable price somewhere but realize that importing it would cost so much that the “reasonable price” will now cost you an arm and a leg. Budget is often one of the key deciding factors when a hobbyist is selecting a machine so looking to buy locally is not only smart but often necessary. This article will review some of the better European-made machines on the market for our European readers who find themselves in this situation. Readers who are not European but do not mind the cost of importing may also find this article useful; one of these machines could be exactly what you have been looking for. CNC-Step is a German company founded in 2005 that has grown into an extremely successful business. They produce a series of CNC routers called the High-Z, of which there are three main models, each with their own sub-models. The original, and most popular, machine they offer is the High-Z S-Series which comes in three varieties: the S-400, S-720 and S-1000. In terms of functionality these machines are all perform the same. As you go up in model number the size, weight and price of the machine increases so you can select a machine based on how big of a workspace you will need. The S-400 sells for €2.237,00 while the S-720 sells for €2.793,00 and the S-1000 sells for €3.343,00. The next step up is the High-Z T-Series which features ballscrews. The smallest version of this machine, the S-400/T, is actually a bit cheaper than the S-1000 so if space is not an issue this can be a powerful machine that you can purchase for a fairly reasonable price. 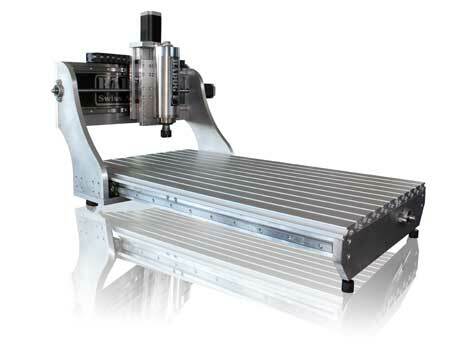 Other machines are offered by CNC-Step but their remaining machines are more heavy-duty, better suited for professional machine shops than a hobbyist’s work area. Full details on the company and their products can be found at http://cnc-step.de/en/. 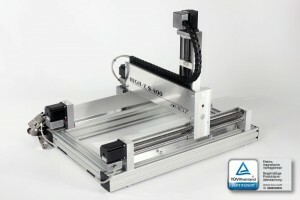 BZT is another German company that makes excellent CNC mills on the hobbyist and professional levels. While they have only been making CNC machines since 2006 the company has been around as a machining company for 30 years. They offer a large number of machines in a variety of series for customers with various needs and differing levels of skill. One of the best series for starting hobbyists is their PF series. All machines in the PF series are 3-axis machines that use 16mm ballscrews and the most basic machine, the PF 600-P, can be purchase for €2.201,50. Like other CNC machines that are sold in a series the higher model numbers tend to have the same mechanical performance but a larger work area and higher cost. BZT offers over a dozen different series of milling machines; you would be hard pressed to look at what they offer and not find a machine that can suit your needs. They also sell software, parts and even cheaper used machines in addition to the new mills they produce. To see all of the products BZT offers firsthand take a look at their website at http://www.bzt-cnc.de/en. There are certainly many other options for CNC machines if you live in Europe but these three companies are good starting points. Maybe you do not want to buy a new machine and are trying to build one instead. You could at least use these organizations to look for some of the parts you will need so even if you are building instead of buying these companies can still be useful to you. Not every company you look at has to be a large organization either. Try looking for local businesses as well; you never know what you may find. Aluminum is one of the trickier metals used on projects made with CNC machines. Its properties are a bit different from other metals so there are usually considerations that have to be taken before you start cutting. This article will review how aluminum reacts when cut with a water jet cutter, a laser cutter and a plasma cutter so that you can be better prepared to work with aluminum regardless of what type of CNC machine you are using. 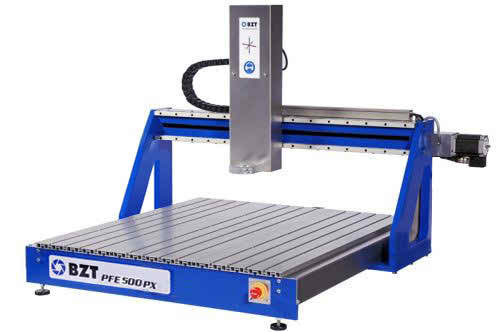 Water jets are the most common type of CNC machine used for cutting alu, being able to cut as thin as 0.001” or as thick as 12”. Because water jets are a cold cutting process you do not have to worry about heat while you are cutting like you do with laser or plasma cutters so there is no need to worry about deformation or the material hardening. The lack of heat creates a safer work environment since there are no dangerous fumes being created by the cutting process. Abrasive water jets also have the advantage of being the cheapest of the three machines discussed in this article. Almost every type of cut you could need for an aluminum project is possible with a water jet. 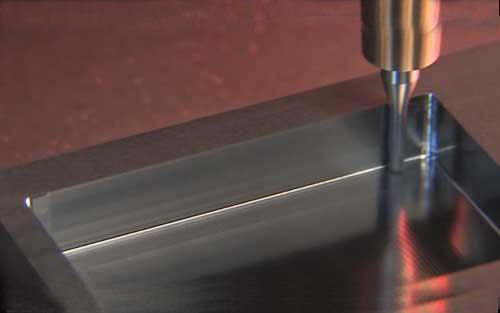 Laser cutting is a bit unusual for working with metals (generally mechanical tools are used for metal cutting) but it is still a viable option. 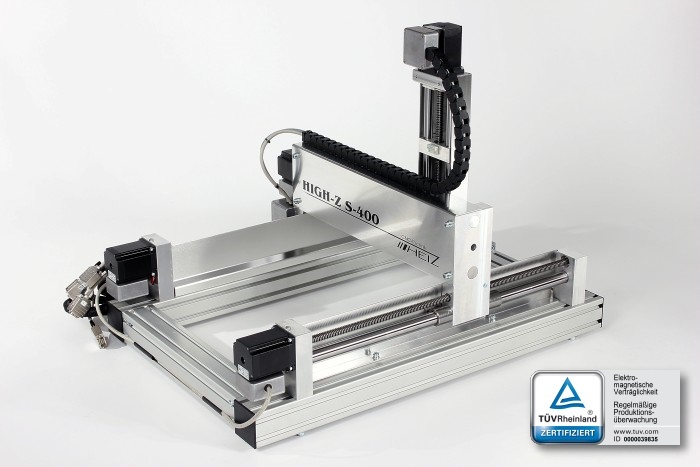 Because alu reflects light and conducts heat efficiently there are considerations that need to be taken before using a laser cutter on aluminum. Due to aluminum’s properties a standard laser will not work. Instead you would need a laser with a high power setting that also uses compressed gas. Using gas during cutting is fairly common with multiple types of machines so it should not be difficult to make the modifications you need. Laser cutters supported with nitrogen can cut aluminum without any loss in the quality of your project. The downside is that the increased power usage (i.e. more electricity) and the gas that you will use are going to make cutting aluminum more costly to cut than other materials. Additionally, laser can only cut aluminum that is fairly thin; at the maximum a laser cutter can be used on aluminum that is about ⅛” thick. Plasma cutters generate a lot of heat and are capable of cutting many materials, including aluminum, very quickly. It may take a little time for a plasma cutter to get to full power after you turn it on but once the machine is running it will do its job very well. Selecting the correct type of gas to use for the plasma is paramount in ensuring that the aluminum cuts correctly. Your choice will also determine how messy the cutting process will be (what type of aluminum you are using will also be a key factor in determining this). Plasma cutters can use less expensive gasses than laser cutters can when cutting aluminum so costs will be a bit better over a laser cutter (though they likely will not be cheaper than a water jet). Each of these three methods has their own ups and downs when it comes to cutting aluminum. If you are choosing between all three of these methods a water jet is going to be your best bet in most cases. Not every machinist will have a water jet available so if it comes down to a plasma cutter or a laser cutter do a little research and see which one would work best on the type of aluminum you are using. Regardless of what type of machine you have access to there is usually a way to make any project work (within reason) on a CNC machine. You just may need to think outside the box a little to figure out what that way is. Electricity is not the most expensive thing to worry about when running a CNC machine. But while it does account for a small percentage of your operating costs it is still a factor that you should be aware of. For the computer you use with your machine the power usage will be negligible, you do not really need to worry about it. 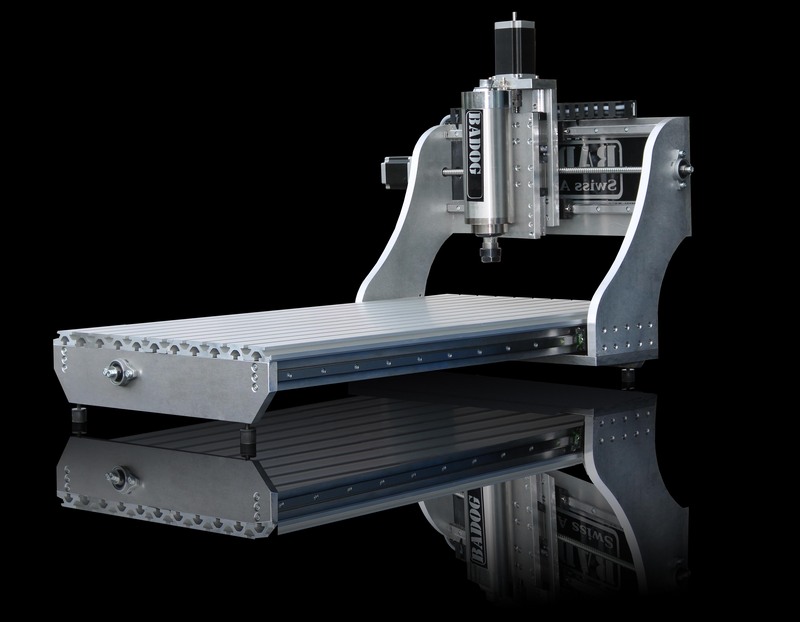 The CNC machine itself should be your area of concern. Looking at your motors is a good way to identify power consumption; most of the power your machine uses is going to be directed towards the vacuums, air compressor and spindle. Say that all together these devices can draw a maximum of 50 horsepower if they are all running together. One horsepower uses up about 750 watts. This means that at peak efficiency you will be using 37,500 watts worth of power. Check how much you are charged per watt to determine what running your machine costs. Also remember to run the numbers based on the amount of power you usually use. If your machine can run at 50 horsepower but you usually only run it at 30, use the number 30 when figuring out your costs. The number you come up with should not be too high; it will likely only be a few dollars per hour. However, if you are using your CNC machine for business purposes the capital you spend on power could be figured into the cost of whatever items you make and sell. A skilled machinist should also be aware of problems they can run into when it comes to power usage. Many machine shops use a 3-phase ungrounded service or a 3-phase, 4-wire grounded service. Either of these services requires a grounding electrode conductor to interface with the building grounding electrode system. Together the conductor and system provide low-impedance paths to the ground for lightning or electrical faults, provide low-impedance fault return paths to trip breakers and reference the building’s electrical system to minimalize voltage differences between various exposed metal parts. CNC machines use a regular wire, extending from their power supply, to connect to a ground plate. The ground plate is bonded to a grounding conductor, and subsequently to the grounding electrode system. This establishes a local signal reference with the CNC machine itself and with remotely connected devices. Stand-alone CNC machines should have good grounding, bonding and shielding but machines with data links or remote devices can be vulnerable to stray currents. If that is the case, take extra precautions to avoid electrical damage. CNC machine manufacturers may recommend, or even require, the use of a supplemental ground rod with the machine they have produced. Usually this is an 8 ft. copper rod that goes through the floor, connecting to the ground plate. Different manufacturers will cite different benefits of using a supplemental rod but on-site examinations have shown that using one of these rods can actually increase the risk of electrical damage instead of decreasing it. The supplemental rod connects the electronic controller to the grounding electrode system and can attract stay electrical currents, such as lightning strikes or electricity generated from power system failures. Potentially the rod could attract a large enough electrical current that it would damage your CNC machine. If you decide to remove a rod, double-check the relevant safety codes and make sure you are not violating any of them. The same goes for implementing any solutions that you think could help to reduce the risk of electrical damages. CNC machine manufacturers can be a good source of relevant advice; they built the machines and should know them very well as a result. Also keep in mind that not all power problems stem from a grounding issue. If you have checked and rechecked your grounding and are still experiencing problems, explore other areas.